The Workshop - urs-langenbachers Webseite! The lutemakers of Füssen were the first in Europe who tried to establish a guild for their profession in 1562. According to their statues they set up principal standards for education and limited the number of practicing masters of their art in town. These stringent regulations and other aspects lead to the emigration of a great number of instrument makers, especially across the alps to Italy. 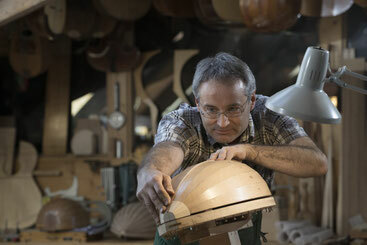 The roots of most famous "Italian" master-luthiers can be found in Füssen (Tiefenbrucker, Sellas, Railich, Frei, Techler, Buechenberg, Gerle...). 150 years later the violin makers faced the same situation. Geissenhof went to Vienna, Edlinger to Praque, Fent to Paris and London. 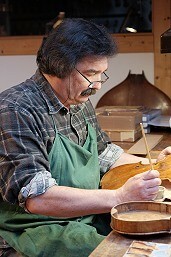 The art of making stringed instruments in Füssen died out completely in the 19th century. 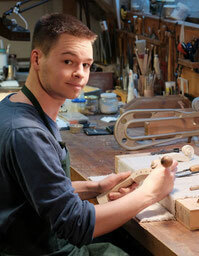 In 1982 Pierre Chaubert finally reestablished violin making in town. 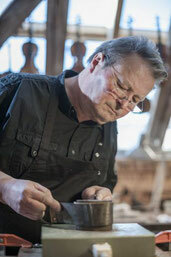 In 1992 I started a plucked instrument division in his workshop for the manufacture, conservation and repair of concert guitars and mandolins. Since 1999 we run two workshops under the roof of a historical building in the town-centre of Füssen.